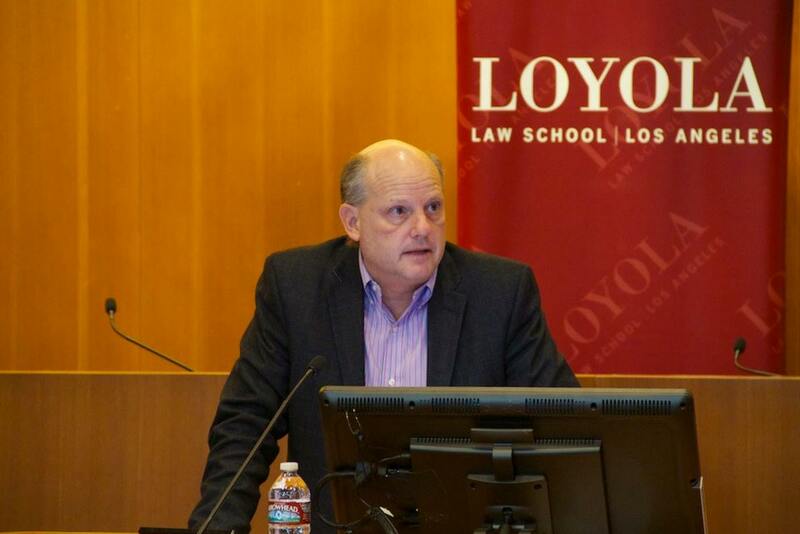 With the invaluable assistance of Professor Elizabeth Pollman, the event brought together some of the nation’s leading thinkers to examine how the role of big money and corporate claims of constitutional rights impact our democracy and our Constitution. After a morning roundtable session, the symposium featured two star-studded panels and a keynote address by Chief Justice Leo Strine of the Delaware Supreme Court. 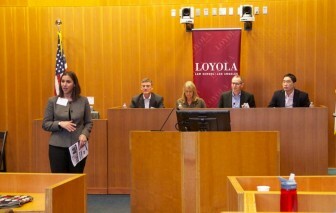 (UCLA), and was moderated by Professor Anne Tucker (Georgia State University College of Law). The second discussion, “Democracy, Corporations, and Money in Politics,” featured Jeff Clements (Co-Founder and Board Chair, Free Speech For People), Professor Richard Hasen (UC Irvine School of Law), Professor Michael Kang (Emory University School of Law), and Michele Sutter (Co-Founder, Money Out Voters In), and was moderated by Professor Pollman. Chief Justice Strine’s keynote address, entitled “Corporate Power Ratchet: The Courts’ Role in Eroding ‘We the People’s’ Ability to Constrain Our Corporate Creations,” traced how the interactions between several different lines of federal cases have combined to erode society’s ability to constrain its own corporate creations. While the panels featured lively debates, important areas of consensus emerged on topics such as the Supreme Court’s misunderstanding of the nature of a corporation, the inherently commercial nature of corporate speech, the importance of political equality in the constitutional analysis of limits on money in politics, and the need to develop the foundations of a new jurisprudence now. Free Speech For People gives a special thank you to the Open Society Foundations for grant support to help make this symposium possible. Click the links below to watch videos from the events. This entry was posted in Uncategorized and tagged Emory University School of Law, Erin Chemerinksy, Georgia State University College of Law, John Bonifaz, Justice Leo Strine, Legal Symposium, Los Angeles, Loyola Law School, Michele Sutter, Money Out Voters In, Open Society Foundation, Professor Adam Winkler, Professor Anne Tucker, Professor Elizabeth Pollman, Professor Margaret Blair, Professor Michael Kang, Professor Richard Hasen, Professor Sarah Haan, UC Irvine School of Law, University of Houston Law Center, Vanderbilt University Law School.